Container utilized to store and manipulate lunar soil samples returned by the Apollo crew while retained under vacuum at the Houston Texas based Lunar Receiving Laboratory. (LRL). 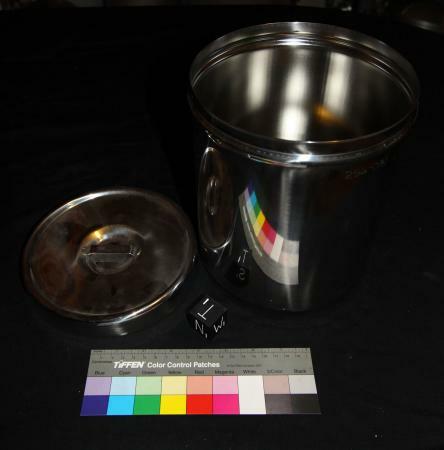 The container was employed to handle Apollo 11 and 12 samples, and was subsequently retired as new container technology was introduced by the LRL staff. Stainless steel was utiilzed to reduce the possility of contamination.